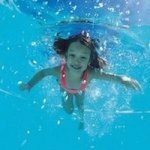 Is Your Swimming Breathing Technique Letting You Down? What is wrong with my swimming breathing? Probably the most commonly asked question to a swimming teacher and coach. It all comes down to how to breathe, when to breathe and how often to breathe. All of which will depend on which stroke you are swimming. The breathing technique for front crawl is slightly different to the breathing technique for breaststroke. However there are some similarities too, and common mistakes. When it comes to breathing during swimming, whichever swimming stroke you are attempting to swim, there are two common mistakes that many adults make. 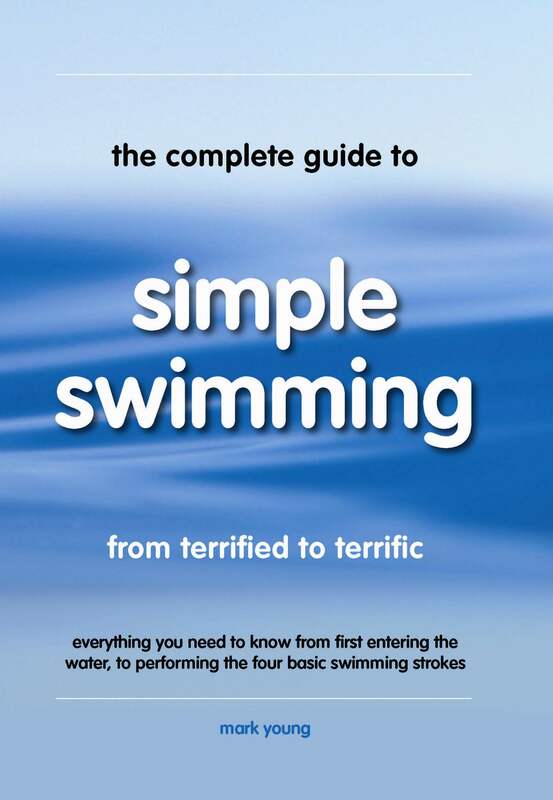 For an in-depth look at the breathing technique for all four swimming strokes plus some simple practical exercises to help improve breathing, download Simple Swimming. Firstly we hold our breath, even though we think we are breathing out into the water. Our breath is held instinctively without knowing it. Therefore when it comes to taking a breath we have to breathe out and in again in the short split second our mouth is out of the water. This is too short a time to take a controlled breath and usually results in a mouth full of water. Also, holding our breath causes a rapid increase in carbon dioxide in our respiratory system. This in turn increases the urgency to breathe again because carbon dioxide is a waste product that needs to be exhaled. The net result is more frequent and rapid breaths. Not good when you're trying to swim. The solution is to ensure you are breathing out into the water as you swim. Breathe out in a slow controlled way without forcing the air out so that when you turn your head to breathe in again, inhaling is all you need to do and you have plenty of time to do it comfortably. The second most common mistake it to leave it right to the last second to take a breath. In other words we wait until all oxygen has completely expired and we are almost gasping for air. We turn our head to breathe and the action becomes a rushed panic, also resulting in a mouth full of water. The solution here is to breath long before you need to. Set yourself a certain number of arm pulls (3 or 4 is usually most comfortable for front crawl) and breathe at that set point. The breathing pattern will change as you become more tired over time, but at least your breathing should be easier. Combine breathing out into the water in a slow, controlled way with taking breaths early. Providing your swimming overall is relaxed and smooth and you have decent technique, you should find yourself swimming longer distance and becoming less out of breath. That is the theory of easier swimming breathing and it will of course take practice and time. What actually happens when you hold your breath? Breath holding is an unnatural act for a human being to carry out. That is why some people find it difficult and even stressful. The human body has several responses to breath holding and some additional responses to being submerged in water. It is how we deal with these responses that determine how comfortable or uncomfortable we are and therefore what duration of time we are able to spend underwater whilst holding our breath. Firstly, the amount of air we are able to inhale into our lungs depends on the size of our lungs. Sounds obvious but a taller person will have larger lungs, and therefore will be able fill them with more oxygen and remain underwater for longer. Whilst we are holding our breath, the amount of oxygen in our lungs decreases as it is carried away in the blood stream and used, and the amount of carbon dioxide increases. Carbon dioxide is a waste product and when a certain level is reached a signal is sent to the brain to tell you to breath again. Changes in heart rate occur whilst breath holding and the more relaxed a person is, the slower they consume oxygen and therefore the longer they can remain holding their breath. Submerging under the water brings about its own stresses, especially for a beginner learning swimming breathing. The experience can be made easier by wearing goggles or a mask so that the eyes can remain open, giving the person an awareness of their surroundings and therefore keeping them in a relaxed state. Relaxation underwater is governed mainly by a slow heart rate. As heart rate increases so does oxygen consumption and therefore levels of stress and anxiety. Movement of any part of the body will increase heart rate and with it oxygen consumption. Holding our breath underwater is made easier by slowly breathing out short bursts of air. This expels carbon dioxide, reducing the amount present in the lungs. This then delays the trigger to breath.